A Façonnable é Parceiro Oficial do Torneio de Ténis de Monte-Carlo, que decorre de 9 a 17 de Abril e cujo sponsor principal é a Rolex. Enfrentando os efeitos que a tecnologia digital tem provocado ao sector do Luxo, o Worldwide Business Research organiza dois eventos, em Londres e Nova Iorque, sobre e-commerce and e-marketing. Da organização: Luxury Interactive brings together only key Luxury Brand Marketing Executives. For two days, leaders in the industry will discuss key strategies, tactics, policies, procedures and most importantly, innovations in the Luxury Marketing space. 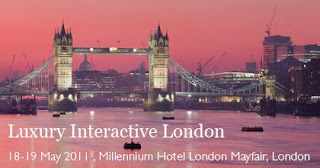 Para saber mais sobre o Luxury Interactive London vá aqui. 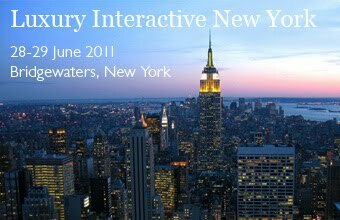 Para saber mais sobre o Luxury Interactive New York, vá aqui. 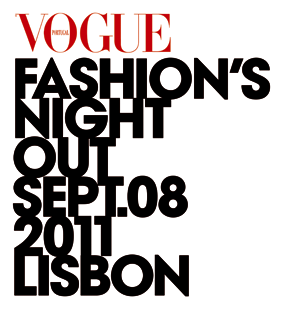 No seguimento do sucesso que foi o primeiro Vogue Fashion’s Night Out 2010, a Vogue Portugal anuncia mais uma edição do evento internacional. No próximo dia 8 de Setembro, em simultâneo com iniciativas semelhantes em Paris, Milão, Nova Iorque e cerca de 17 outras cidades, as principais lojas da Avenida da Liberdade, da Rua Castilho, do Chiado e do Príncipe Real, estenderão o seu período de abertura até às 23h. Uma sensação de optimismo confirmado é o sentimento público dos expositores suíços presentes na Baselworld 2011. "Março registou o 14º mês consecutivo de crescimento mensal, evidenciando ainda mais a saúde robusta da nossa indústria", diz o Comité de Expositores Suíços presente no certame. 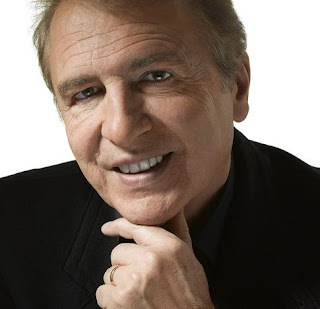 François Thiébaud, CEO da Tissot (Swatch Group) e Presidente do Comité de Expositores Suíços na Baselworld afirmou em jeito de balanço da edição deste ano da maior feira de Relojoaria e Joalharia do mundo: "2011 parece seguir as pisadas de 2008, o ano recorde da indústria. A questão não é mais de saber se as vendas vão aumentar, mas em manter a produção ao longo do ano", disse. As BASELWORLD 2011 prepares to close its doors, the Swiss Exhibitors can look back on a resoundingly successful eight days. The optimism prompted by the recovery that began in early 2010 and rapidly spread throughout the whole industry was borne out by the show's excellent results. The order books are full, there was a strong contingent of the national and international press, and visitors, headed by retailers and wholesalers, turned up in ever larger numbers. Following very encouraging export figures in January and February, our Swiss watchmakers and jewellers were eagerly awaiting the opening of this year's Show to confine the word crisis to history and benefit from a genuine economic recovery. And that's exactly what happened: March registered the 14th consecutive monthly rise, further evidence of our industry's robust health. 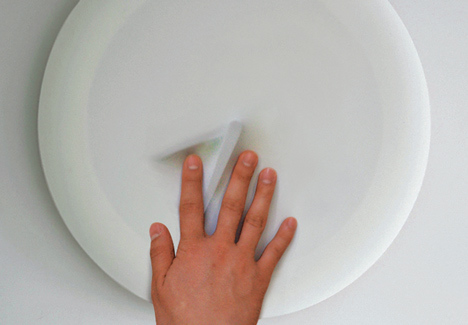 As François Thiébaud, the president of the Swiss Exhibitors' Committee, pointed out, "2011 appears to be following in the footsteps of 2008, the industry's benchmark year for its remarkable results. The question no longer seems to be one of sales, but of keeping up with production over the year." Once again, the Swiss Exhibitors have vied with each other in terms of creativity, drawing on the traditional values that have forged the success of Swiss watchmaking through the centuries. 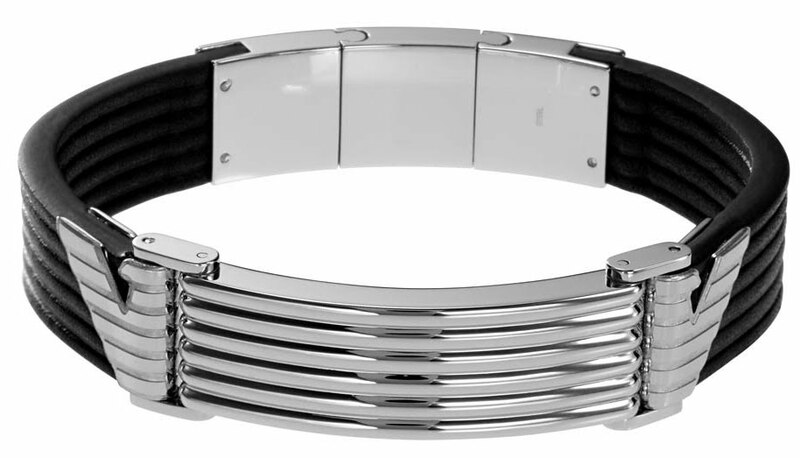 Models with simple, elegant lines directly inspired by the Art Deco style of the 1920's and 30's and by the classic years of the 1950's and 60's have made a strong comeback. Historic models have been re-interpreted and re-designed. 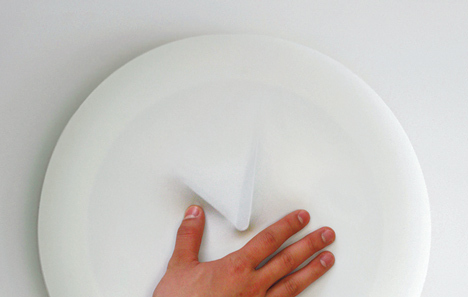 Geometric shapes, mainly round, have been fashioned in the purest Swiss tradition, combining age-old savoir-faire with a discretion that has now become indispensable. More modest dimensions ingeniously highlight finely worked guilloche, embossed, openworked and multi-layered dials, expressing beauty and simplicity enhanced by quality and precision. 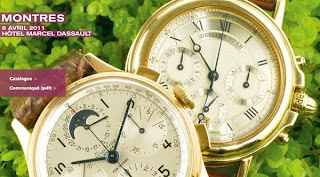 There were many innovations too, with several world firsts in the area of movements, functions and design presented alongside models equipped with in-house movements, some with grand complications like tourbillons, perpetual calendars and striking-mechanisms. Swiss jewellery makers are also smiling broadly. BASELWORLD functions as an international exchange and business platform and this year's Show was no exception, with the sector receiving many orders for the year. It also saw the strong return of Russian and eastern European retailers, who were rather thin on the ground in 2010. The public also visited the jewellery halls in large numbers, showing a pronounced interest in new pieces, but seeking out safe products and well-established brands. Demand was strongest for noble materials despite the marked increase in the price of gold and platinum. 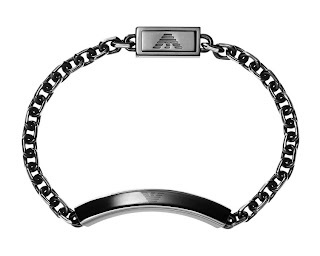 Besides these precious metals, steel and silver pieces continued to enjoy considerable popularity, especially when made by well-known brands. To meet the orders placed with the watch and jewellery makers, the machine-tool sector will be working at full capacity again. 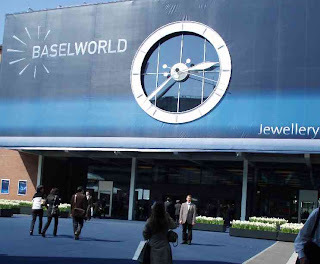 There was a sentiment of general satisfaction at BASELWORLD amongst companies in the related sectors, even though business is still only conducted on a short-term basis. And with representatives hesitant to commit themselves and the crisis still firmly fixed in people's minds, prudence remains the watchword. Even though many visitors headed for Hall 3, they were mainly professionals, whose interests and requirements are more and more specific. There was a slight decline in the number of Japanese and Arab visitors – due to the present troubles – but also fewer Americans. Europe and India, this year's guest country, continued to provide the greatest number of visitors, strengthening ties with those in the related sectors. As they work hand in hand with the manufacturers, these companies, like those in the watch and jewellery sectors, are subject to the fluctuations in the economy, but not at the same time. The knock-on effect of the recovery now being enjoyed by the watchmakers promises good business prospects for the related sectors. 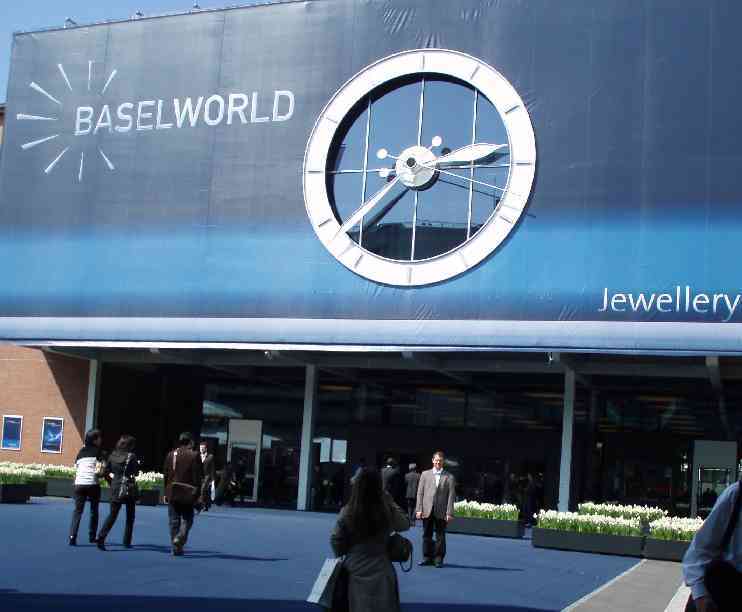 This year has once again seen BASELWORLD fulfil its role as the world's leading watch and jewellery show, serving the interests of the profession. While its excellent results augur a fantastic year for the Swiss watch industry, our thoughts are nevertheless with our Japanese friends, who have been living through a nightmare for the past three weeks. Displaying courage and determination, most of them attended Basel, giving the show a very special dimension. Our thoughts go out to their families, friends and colleagues. And we also welcome the presence of participants from the Arab countries, who have been going through their own very difficult, but crucial, time. As well as the abundance of products presented and the business generated, BASELWORLD, thanks to its size, aura, infrastructure and flawless organisation, generates fantastic opportunities and provides a sumptuous setting that attracts not only professionals within the industry, but also players from other fields like design, fashion, architecture and the new media. 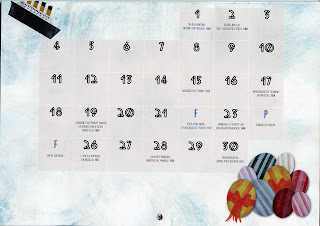 O projecto de travessia pólo a pólo, patrocinado pela Zenith ou o Rolex Oyster Perpetual New Explorer II são temas da newsletter de Abril de La Cote des Montres. A ler aqui. O balanço feito pela organização da Baselworld 2011 é positivo: a maior feira de Relojoaria e Joalharia do mundo registou um aumento de 2,5 por cento em termos de visitantes e em relação à edição do ano passado, ultrapassando a fasquia dos cem mil (103.200). Um total de 45 países estiveram representados na 39ª edição da feira de Basileia (1892 expositores) e foram acreditados 3055 jornalistas, um recorde, mais 5 por cento que em 2010. 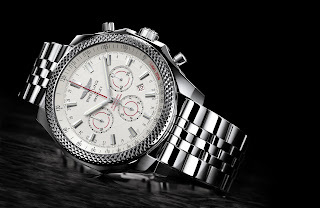 A Baselworld 2012 decorrerá de 8 a 15 de Março do próximo ano. The influx of visitors has to be described as overwhelming this year: 103,200 visitors from more than 100 countries marked the second-best result of all times for BASELWORLD and an increase of 2.5% over the previous year. The exhibitors reported that the quality of the visitors was excellent. This year’s exhibiting companies declared themselves to be highly satisfied with the business they conducted and the sales they achieved. François Thiébaud, President of the Swiss exhibitors at BASELWORLD, confirms: "This was an excellent show for us. We achieved splendid sales, and we feel a great sense of satisfaction. 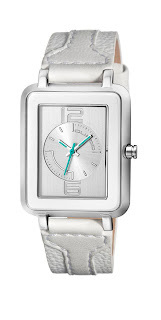 BASELWORLD’s global reach has played a key role in this over the past few days." 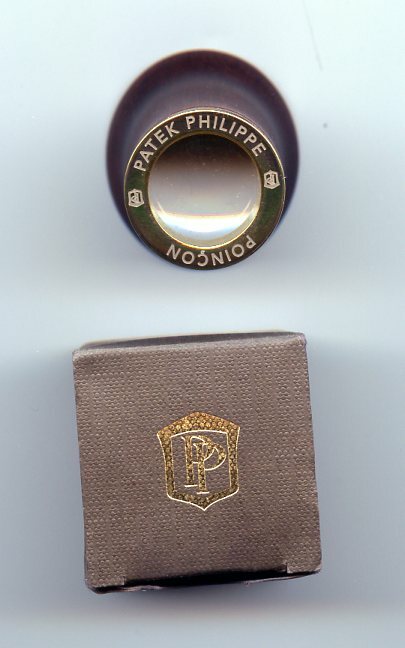 Jérôme Pernici, Marketing Director at Patek Philippe, says: "We were able to work particularly well here: it was an excellent year. We achieved record figures in terms of both buyer and media contacts." Karl-Friedrich Scheufele, Co-President of Chopard, underlines the importance of the event: "BASELWORLD is the sole international show for the watch and jewellery industry that our company participates in. It is, and will remain, a focal point of every financial year for us and makes a key contribution to our sales result. We are highly satisfied with the sales we achieved and the customer frequency." For Françoise Bezzola, Vice President Communication at TAG Heuer, the show was a great success: "Our stand was frequented by excellent numbers of both specialist dealers and journalists. We have recorded two-figure growth rates by comparison to last year." "BASELWORLD is an exceptional event that cannot be missed. 2011 was a fantastic show for us, an excellent year, and our innovations were particularly appreciated by both our customers and the media", reports Olivier Bernheim, CEO of Raymond Weil. 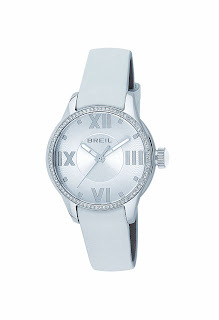 Nicolas Beau, Directeur International Horlogerie at Chanel, sums up the show as follows: "Here we can demonstrate Chanel’s creativity and strengths in watch-making. 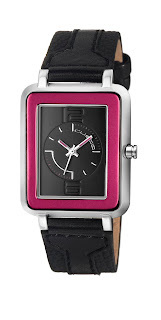 BASELWORLD 2011 will go down as the most successful show in history for us – in terms of both sales and media contacts." "The course of business was highly gratifying”, says Jean-Claude Biver, CEO of Hublot SA. "This show continues to be of major importance”. Intensive use is made of the options offered by the unique nature of the World Watch and Jewellery Show. Manon Colombies, Export Manager of Festina Candino SA, says on this: “BASELWORLD is our most important sales point anywhere in the world. The fact that we can maintain and foster our network of contacts is one of the biggest advantages of this show. And we naturally appreciate the professional setting in which the show is held." As far as the jewellery exhibitors are concerned, Christoph Wellendorff, Managing Director of Wellendorff, is particularly satisfied: "BASELWORLD 2011 was exceptionally successful for us: our very high expectations were even exceeded. Here in Basel we have been able to meet more than 90% of our customers in just a single week. BASELWORLD is unrivalled and the only jewellery show that we attend, and our participation in Basel will continue to be a very good investment for our brand." The expectations of Giuseppe Picchiotti, owner of Picchiotti, were similarly fulfilled. 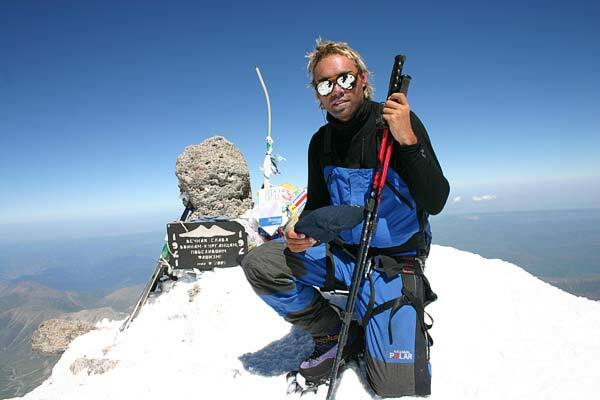 “Last year was already very successful for our company. And we have now been able to establish ourselves at this high level. BASELWORLD 2011 has opened up new options and opportunities for us in the Southeast Asian market in particular ". The brand Meissen Joaillerie participated in BASELWORLD for the first time. For Managing Director, Christian Kurtzke, it is quite clear: "BASELWORLD offers us the best platform for opening up the markets of the future, such as Latin America. We have been able to engage in outstanding talks and are particularly impressed by the media presence here." Large numbers of positive echoes were also to be heard in the remaining sectors of BASELWORLD on the closing day of the show. Hence Bernd-Willi Ripp, Managing Director of Groh+Ripp, had the following to say: "For the world’s leading dealers in precious stones, BASELWORLD constitutes the most important show of the year. After achieving a good result in 2010, we were able to record very good sales here in Basel in 2011." The renewed increase in media interest is reflected in the record number of 3055 accredited journalists from more than 70 countries, marking a 5% increase over the previous year. For the very first time, more than 3000 media representatives were thus welcomed at BASELWORLD. All the key specialist media for the luxury goods sector come to Basel. And global coverage of BASELWORLD is on the increase in the daily media and business press, as well as on TV and radio. As Françoise Bezzola, Vice President Communication at TAG Heuer, explains: "As an exhibitor, it is possible to receive a maximum number of journalists at BASELWORLD for just a minimum time outlay." Those in charge of BASELWORLD can look optimistically into the future. For show manager, Sylvie Ritter, it is clear that “this was one of the best BASELWORLD of all times. We will do everything possible to ensure that we successfully establish ourselves at this new high level. This show will remain the most important and highest-quality event for the international watch and jewellery industry." Due to the construction work for the new buildings at the Basel exhibition site, BASELWORLD 2012 is being held from March 8 to 15, 2012 in Basel. 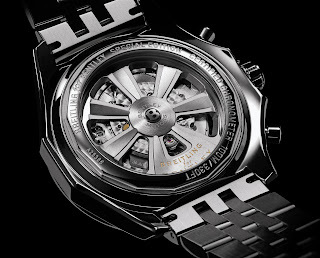 A análise do negócio da compra da Bvlgari pela LVMH e um dossier especial sobre Bernard Arnaut, quarta fortuna mundial, são os temas centrais da newsletter de Março da Fondation de la Haute Horlogerie. A ler aqui. Famosos são investimento seguro para as marcas? Será que a contratação de personalidades públicas compensa as marcas? With the passing of Elizabeth Taylor yesterday, a chapter closed in the book of glamour. Are there enough celebrity spokespersons with her stature and pulling power who can move the needle for luxury brands? Ms. Taylor, 79, who succumbed to congestive heart failure, led a full life: actor, AIDS activist, lover, entrepreneur, brand ambassador and passionate customer of Bulgari, Cartier, Krupp and Harry Winston. “Celebrities can work for luxury brands if consumers believe that they are likely to use the product and if it is a good fit for them,” said Milton Pedraza, CEO of the Luxury Institute, New York. 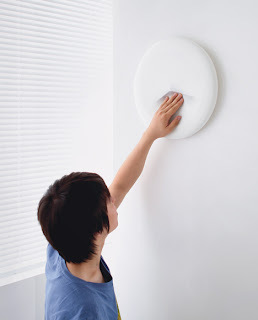 “It’s the image that the celebrity gives as a halo effect for the product. “Elizabeth was a natural at endorsing a fragrance that exemplified the Jet-Set, glamorous and exciting lifestyle,” he said. “She had that element that brands were trying to exude and that part of her imagery could enhance a product and drive sales. In addition to her many lives, Ms. Taylor found time to launch a line of fragrances. Ms. Taylor was also an avid activist for the fight against HIV/AIDS. She founded the Elizabeth Taylor AIDS Foundation that set up clinics, hospices, school health programs and family counseling for those affected by the disease. At the height of Ms. Taylor’s stardom, it was harder for luxury brands to relate to their customers who did not lead a digital lifestyle and in the absense of interactive media. Would Ms. Taylor have been as successful in this day and age? Ms. Taylor was her own spokesperson for her fragrance collection, which encompassed White Diamonds, Forever Elizabeth, Passion for Women, Gardenia and Violet Eyes. She also launched Passion for Men. Print and television ads for the Elizabeth Taylor collection were run worldwide. Additionally, Ms. Taylor and her most famous husband, Richard Burton, were well-known collectors of jewelry from brands such as Bulgari, Cartier and Harry Winston. The pair even had a jewel named after them, the Taylor-Burton diamond, which was bought from Cartier for a staggering $1.1 million. Not coincidentally, Bulgari showcased an entire collection of Ms. Taylor’s personal jewelry in its mobile application earlier this year (see story). Ms. Taylor’s affiliation with these jewelers certainly influenced both her own and the brands’ status in the luxury sector. Better known than her appetite for luxury brands were her partnerships with and her founding of charitable organizations. “She was a master of her craft, but she did also stand for positives such as AIDS,” Mr. Pedraza said. “She took a stand on something that was unpopular, but certainly the right thing to do,” he said. Affiliating with a celebrity who does philanthropic work looks good for luxury brands, whose customers often have the same core values. For example, Lexus teamed up with Baron Davis and his foundation, Rising Stars, which teaches positive role models and ethics through sports (see story). Also, Swiss watchmaker Hublot tapped Veronica Varekova, ambassador of the American Wildlife Foundation, to push a special model from its Hublot lady collection while also raising awareness of the foundation. There are many luxury brands who choose to have celebrity endorsers and promote them through print, out of home, Internet and mobile ads. Luxury brands hire celebrities and musicians as spokespersons rather than well-known entrepreneurs because the former can literally “act” the part of endorsers. “Actors and musicians are entertainers by nature,” Mr. Pedraza said. “Other people in other professions are not as good at presenting a case or delivering a speech or being on camera or in an interview as famed actors and musicians. “They lead very glamorous and public lives as opposed to entrepreneurs and their lives, if lived in a way that is in sync with what a luxury brand’s values are, can be great examples of what the brand is trying to promote,” he said. High-fashion brands such as Louis Vuitton, Versace, Chanel, Dior and Dolce & Gabbana are tapping actors and musicians to model their accessories, handbags and apparel. For example, Chanel recently picked the CW television network’s “Gossip Girl” actress Blake Lively to promote its new Mademoiselle handbag line (see story). Other brands pick spokespersons based on mutual interests. Swiss watchmaker Breitling, whose products are designed for athletes and pilots, chose actor John Travolta as a brand ambassador. 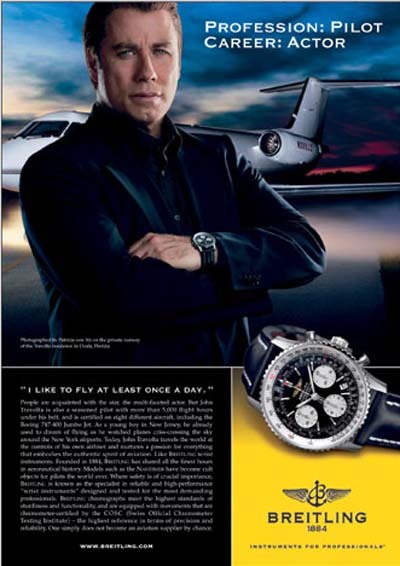 Mr. Travolta has his pilot’s license and is certified on eight different aircraft. Furthermore, Ralph Lauren’s Polo Black fragrance label has tapped professional polo player Nacho Figueras as one of its celebrity endorsers. 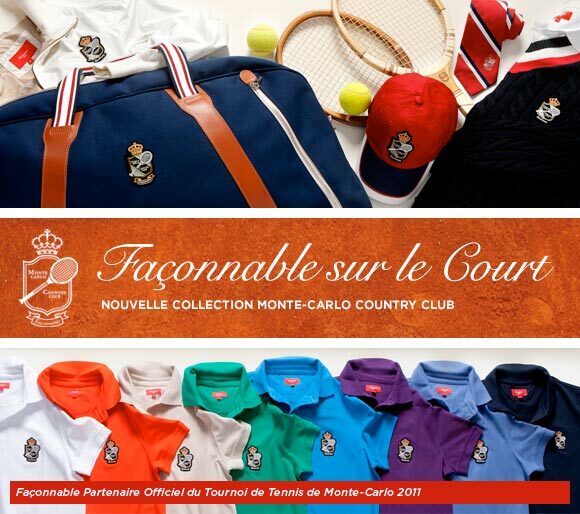 The brand is known for its preppy, polo-inspired clothing and the match makes sense. However, there is an element of uncertainty with celebrity spokespersons. For example, when Tiger Woods’ indiscretions were out in the open, many of his sponsors, such as Buick and Gatorade, quickly pulled their advertisements and canceled their contracts because they did not want to be associated with him. “Things can spiral out of control when there isn’t a strategic alignment or when either the spokesperson or the brand itself falls from grace,” said Rex Whisman, founder and principal at BrandED Consultants Group, Denver, CO. This is even more relevant for luxury brands and their sponsors, whose names are synonymous with pristine reputations. “It’s not going to feel authentic if the partnership doesn’t have the consumer in mind, and sometimes that doesn’t happen,” Mr. Whisman said. A popular way for brands to promote new products is through social media sites such as Facebook and Twitter which act as hubs for brands to interact with their customers through community discussions. Social media also serves as a platform for brands to push new campaigns and products through their spokespersons by posting on a feed or uploading a video. However, experts doubt that spokespersons actually do anything for affluent consumers. A study by the Luxury Institute shows that affluent consumers are not impressed by celebrity endorsements. Ron Kurtz, principal of American Affluence Research Center, agrees. 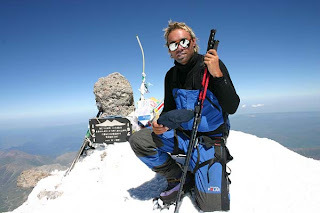 The research done by his company proves that these efforts influence those who aspire to the luxury lifestyle, rather than those who actually live it. “The primary exceptions are sporting goods endorsed by professional golfers or tennis players, where the endorser has a relevant expertise, and then the favorable effect is somewhat limited,” Mr. Kurtz said. “I feel celebrity endorsements, and particularly having their own branded product as Elizabeth Taylor did with her perfume, are more influential with teenage girls and the aspirational affluent,” he said. A Artcurial e Romain Réa organizam a 5 e 6 de Abril um leilão de relógios, no Hotel Marcel Dassault, nos Campos Elísios, em Paris. São mais de 250 peças, para todos os preços e gostos. Para saber mais, vá aqui. Para consultar o catálogo, vá aqui. 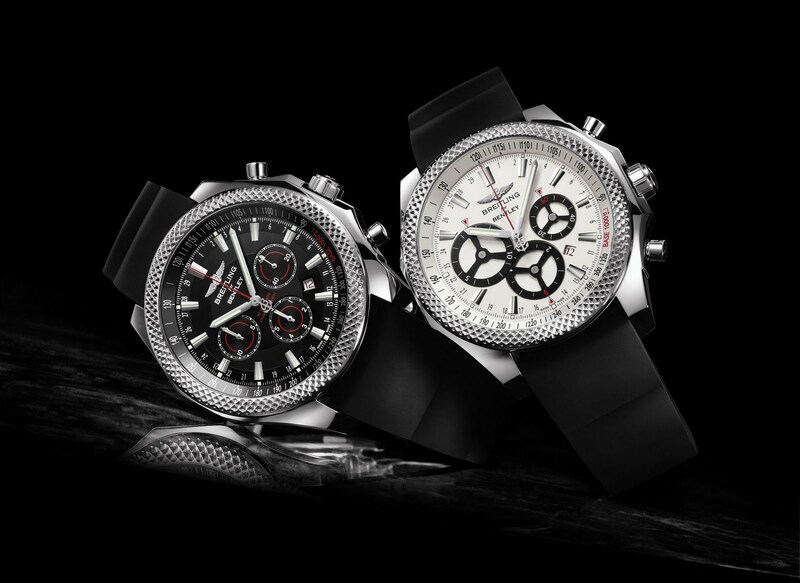 Breitling Bentley Barnato e Bentley Barnato Racing. Bentley Barnato. Calibre 25B, cronógrafo automático, cronómetro certificado COSC. Caixa de 49 mm, estanque até 100 metros, em aço ou ouro vermelho (edição limitada a 500 exemplares). Mostradores Royal Ebony ou Silver Storm. Braceletes em couro Barenia, crocodilo, caoutchouc ou metálica. Bentley Barnato Racing. Calibre 25B, cronógrafo automático, cronómetro certificado COSC. Caixa de 49 mm, estanque até 100 metros, em aço ou ouro vermelho (edição limitada a 500 exemplares). Mostradores Royal Ebony ou Silver Storm. Braceletes em couro Barenia, crocodilo, caoutchouc ou metálica. Sistema exclusivo "cronógrafo 30 segundos", inspirado numa patente registada por Gaston Breitling, filho do fundador, em 1926. Neste sistema, o ponteiro central dos segundos do cronógrafo dá uma volta completa em 30 segundos, em vez de um minutos. 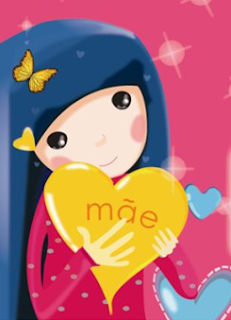 Assim, consegue-se uma leitura muito precisa do cronógrafo, até aos oitavos de segundo. 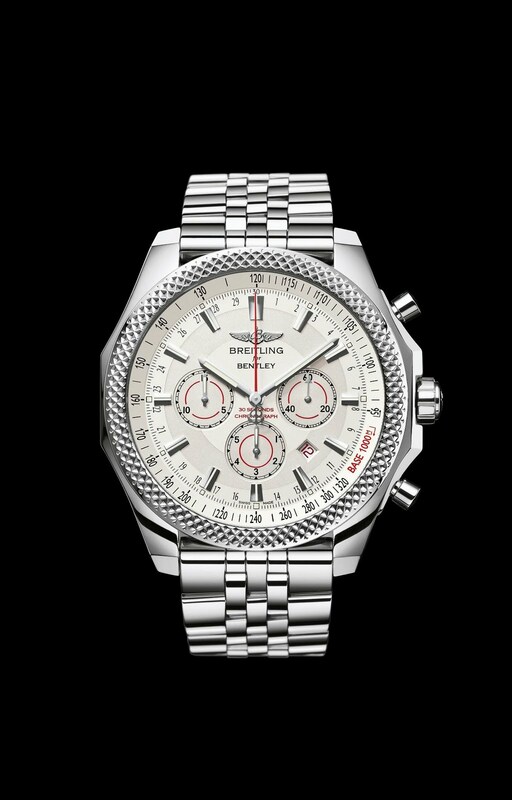 Breitling for Bentley is lining up two exceptional champions on the starting grid. named in honour of the most famous of the Bentley Boys, who was also the first driver to win three consecutive editions of the le mans 24 hours (1928, 1929 and 1930), the Bentley Barnato and the Bentley Barnato racing chronographs are distinguished by their peerless performances and their resolutely out of the ordinary design. they feature ultra-sporty dials, including one with a highly original disc-type totalizer system. the understated and powerful case is topped with a broad bezel bearing a raised knurled motif inspired by Bentley control buttons. equipped with transparent sapphire crystal casebacks, these top-class instruments reveal a truly unique vision through the reverse side, in the shape of anoscillating weight evoking the wheel rims of the new Bentley continental gt. 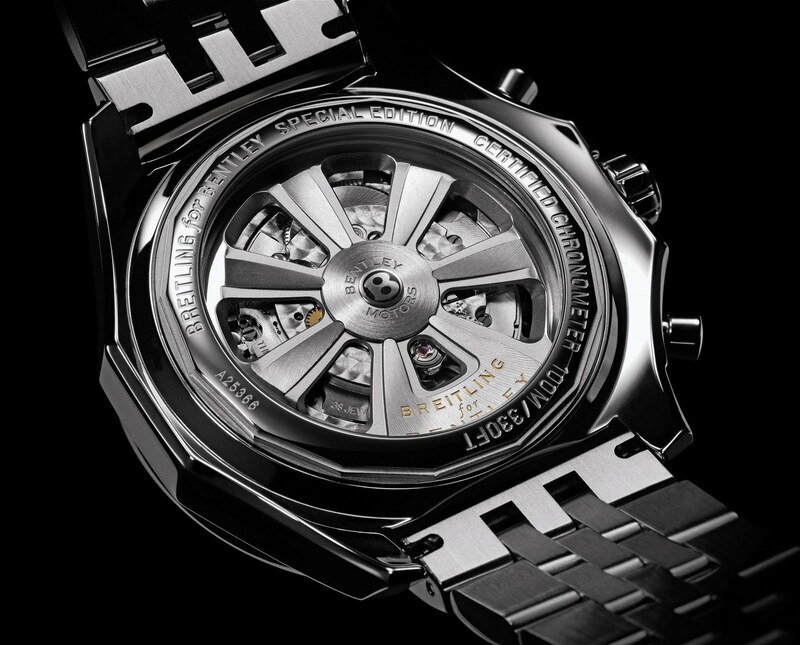 In terms of motorisation, they certainly have what it takes to win the race towards precision and endurance, thanks to a movement certified by the swiss Official chronometer testing Institute (cOsc), along with a “30-second chronograph” system that is unique in the world. two new Bentley Boys ready to rise to all manner of challenges. In 1923, Walter Owen Bentley sent one of his speed machines to take part in the first edition of the Le Mans 24 Hours. In 1924, the British firm created a sensation by winning the race with a Bentley 3 Litres – a feat that it accomplished four more times, in 1927, 1928, 1929 and 1930, the two latter victories being earned in a Speed 6. This was the era of the legendary Bentley Boys: Benjafield, Birkin, Davis, Rubin, Kidston and above all Barnato, the most famous of them all, a multi-millionaire diamond merchant. Gifted sportsmen, authentic amateurs, often fabulously wealthy and irresistible charmers, the Bentley Boys raced first and foremost for honour, fired by a taste for challenges. Dedicated as much to partying as to winning, they were to leave an indelible imprint on the Bentley spirit: an unmistakable blend of performance and luxury. In 2003, Bentley revived its glorious sporting past by sweeping the first two places in the Le Mans 24 Hours ranking. Resolutely Bentley in terms of its design, the Bentley Barnato associates a generously sized case with fixed bezel featuring a knurled raised motif and red-rimmed sports counters – just like on the dashboards of the finest sports cars from the British carmaker. 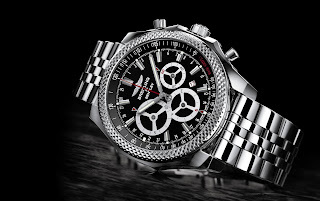 Totally Breitling from a technical standpoint, it combines a selfwinding chronograph movement chronometer-certified by the COSC with an ultra-efficient and ultra-legible “30-second chronograph” system. Its originality extends to the reverse side fitted with a transparent back serving like an open car bonnet to reveal a wheel-rim shaped oscillating weight. 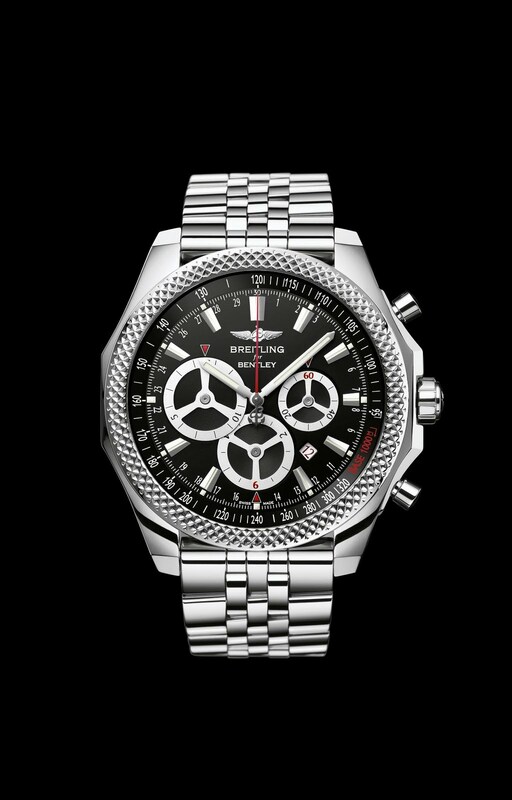 Available with a black or silver dial enhanced by applied hour-markers and tone-on-tone counters with a refined spiral motif, the Bentley Barnato comes in steel as well as in a 500-piece red gold limited edition. 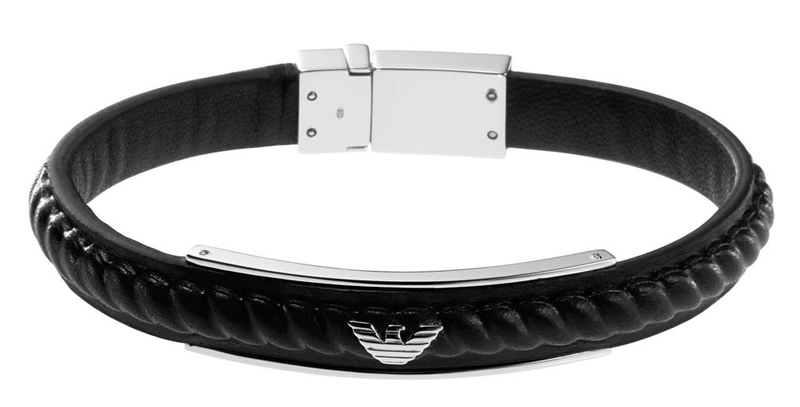 It can be teamed with a leather, crocodile leather or rubber strap, or with the particularly sturdy and comfortable Speed bracelet. 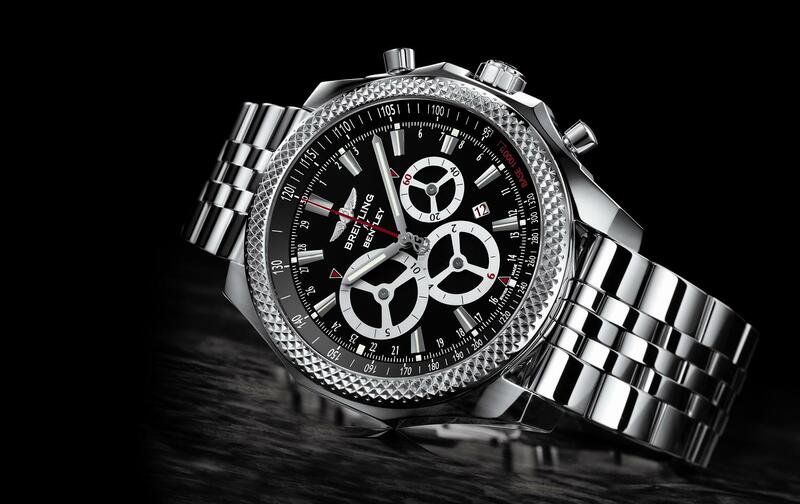 The Bentley Barnato Racing special series features a spectacular design that makes it the most original of all Breitling for Bentley chronographs. 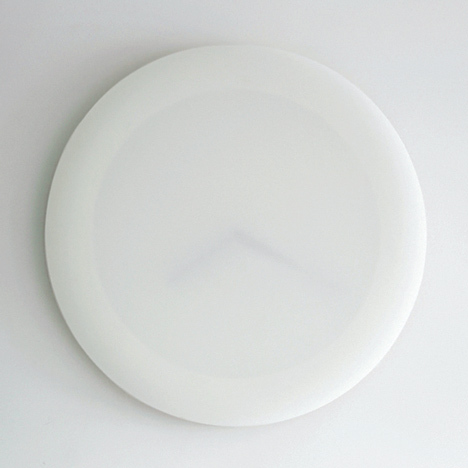 The pointer-type counters are replaced by a highly original disc-type counters system displaying the hours and minutes of the measured time by means of two red triangles. The openworked shape of the silver-toned discs is reminiscent of the steering wheels on the famous Bentley models that won the Le Mans 24 Hours race five times between 1924 and 1930 – thanks to Barnato and the other Bentley Boys. 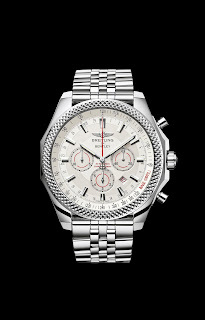 The “30-second chronograph” serves to measure the best laps to the nearest 1/8th of a second. The oscillating weight inspired by the wheel rims on the new Continental GT provides a maximum of energy to the COSC chronometer-certified movement. 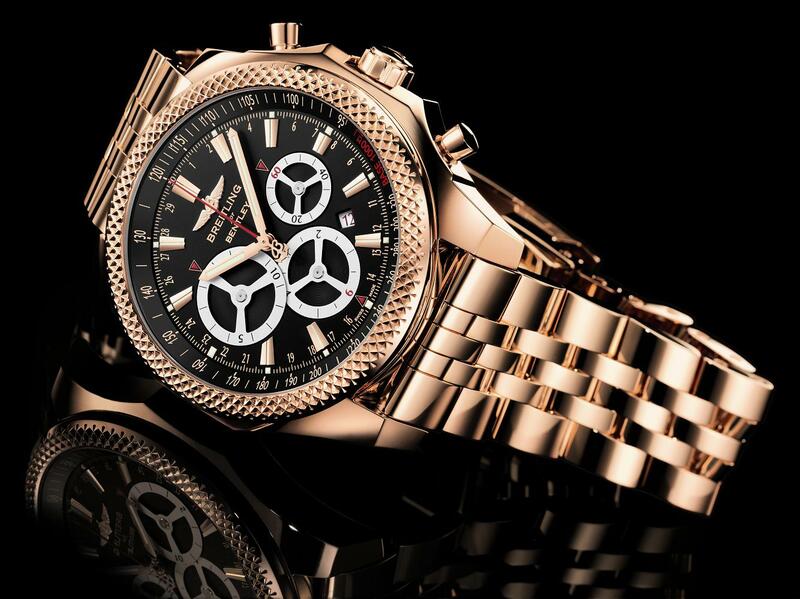 Carved in steel for the standard version, the Bentley Barnato Racing takes on an even more exclusive aura in a 500-piece red gold limited edition. 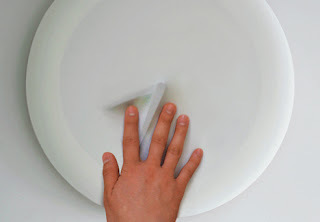 A Rolex abriu inscrições para a edição 2012 da Rolex Awards for Enterprise. Para saber mais, vá aqui. The Rolex watch company of Geneva is now accepting pre-applications for the 2012 Rolex Awards for Enterprise. For more than three decades, this international philanthropic programme has honoured and supported pioneering individuals whose projects benefit their communities and the wider world. 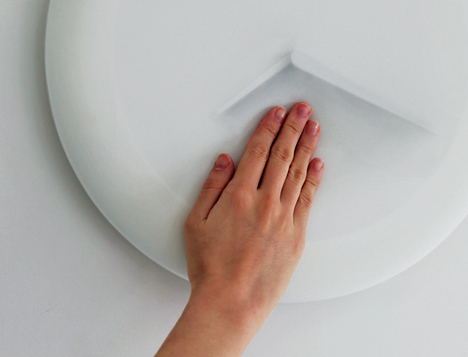 Five Laureates will be selected by an independent Jury of experts who will meet early next year. The Laureates will each receive US$100,000 to advance their projects and gain recognition of their work through international publicity and advertising campaigns. 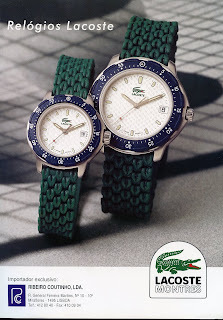 Each Laureate will also receive a Rolex chronometer. The Rolex Awards are open to anyone of any age or nationality whose groundbreaking projects are helping to expand the knowledge of our world and improve the quality of life on the planet and the outlook for humankind. These projects are grouped broadly in the areas of science and health; applied technology; exploration and discovery; the environment; and cultural heritage. For the first time, candidates for the Rolex Awards will be able to submit their project ideas in a short, online pre-application. The deadline for pre-applications is 31 May 2011. Only pre-applicants whose projects best meet the selection criteria will be chosen by Rolex for further consideration and will be invited to submit a full application. Prospective entrants can apply to the 2012 Rolex Awards on rolexawards.com, where they will find all relevant documents. 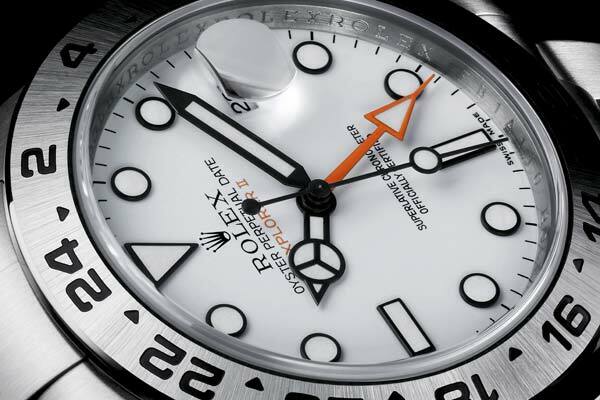 The Rolex Awards for Enterprise were created in 1976 to commemorate the 50th anniversary of the Rolex Oyster chronometer, the world’s first waterproof watch. Since then, Rolex has presented 115 monetary Awards to individuals from 42 countries, implementing projects in more than 60 countries. Typically, more than 1,500 people apply to each series. Gatto Signos Carneiro. Peça em ouro amarelo e madrepérola. 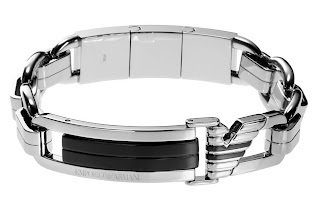 Emporio Armani. Peças em aço ou prata. 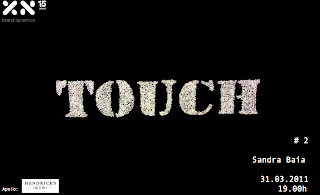 No seguimento da celebração dos 15 anos da XN Brand Dynamics, é hoje inaugurada a exposição TOUCH, de Sandra Baía. A brasileira Sandra Baía veio para Portugal em 1977 onde permaneceu até 1987, altura em que entra no mundo da moda como manequim. Um trabalho que, com viagens, lhe permitiu explorar e satisfazer a sua curiosidade nos melhores museus e galerias do mundo. Artista autodidacta, Sandra Baia já tem diversas obras em colecções privadas e apresenta agora o seu novo trabalho TOUCH. 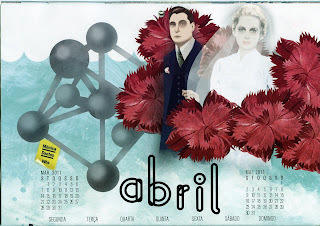 Um trabalho multi-sensorial que tem vindo a desenvolver ao longo deste ano. 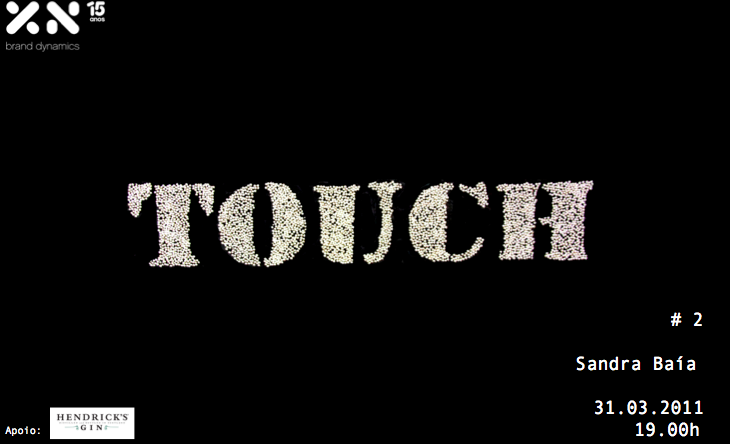 A exposição TOUCH estará aberta ao público todas os dias da semana (Segunda a Sexta-Feira), das 10h às 13h e das 15h às 18h, nas instalações da XN Brand Dynamics, ao Chiado. A Seiko Watch Corporation, grupo nipónico existente desde 1881, anunciou uma contribuição de 2 milhões de ienes para as vítimas do terramoto seguido de tsunami que atingiu o Japão a 11 de Março. Para saber mais, vá aqui e aqui. 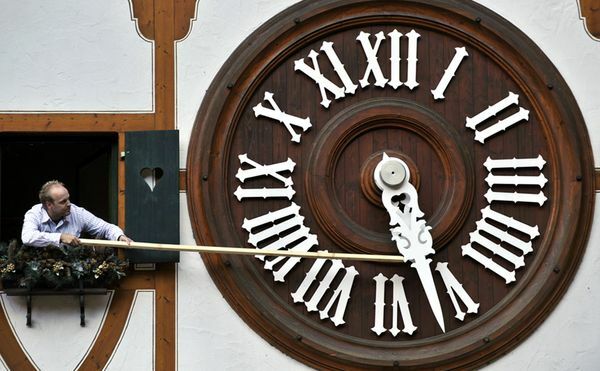 Vida mais longa, horas mais curtas, assim se apresenta o tempo do novo século. Enquanto o nosso tempo livre "se alarga", como é que nos queixamos cada vez mais do stress e da falta de tempo? 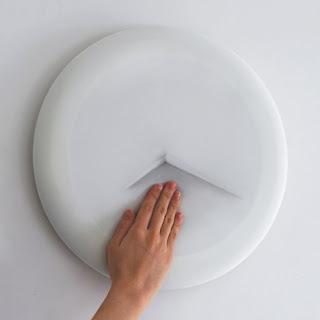 O designer sul-coreano Sejoon Kim concebeu um relógio onde os utilizadores têm que sentir um mostrador flexível para que o tempo seja revelado. Baptizado de Vague Clock, de leitura analógica, a peça tem uma cobertura mole, que esconde o tempo, até que a pressão o revela. O relógio é acertado por GPS, pelo que se mantém certo, apesar de se tocar nos ponteiros. O blog Duas ou três coisas, do Embaixador português em França, Francisco Seixas da Costa, fala sobre a recente mudança da hora e recomenda a leitura do Estação Cronográfica. Registamos e agradecemos. A ler aqui. 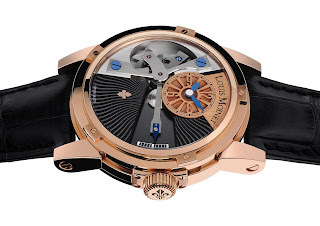 A Louis Moinet acaba de ser distinguida com dois prestigiosos “red dot awards”. O júri red dot, composto por 36 peritos, decidiu outorgar este famoso prémio internacional de design a dois relógios Louis Moinet: oTEMPOGRAPH e o JULES VERNE watches, que captaram a atenção entre os 4.433 produtos apresentados por 1.700 empresas. 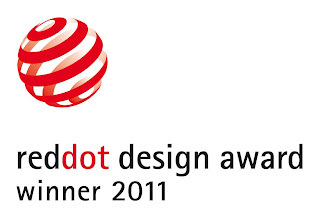 O “red dot design award” é considerado como sendo um dos mais prestigiados do mundo em termos de galardões para design industrial. O prémio é atribuído pelo Design Zentrum Nordrhein Westfalen, em Essen, Alemanha. Desde 1995, o objectivo do prémio é distinguir a qualidade do design e realçar as tendências estéticas dos produtos. 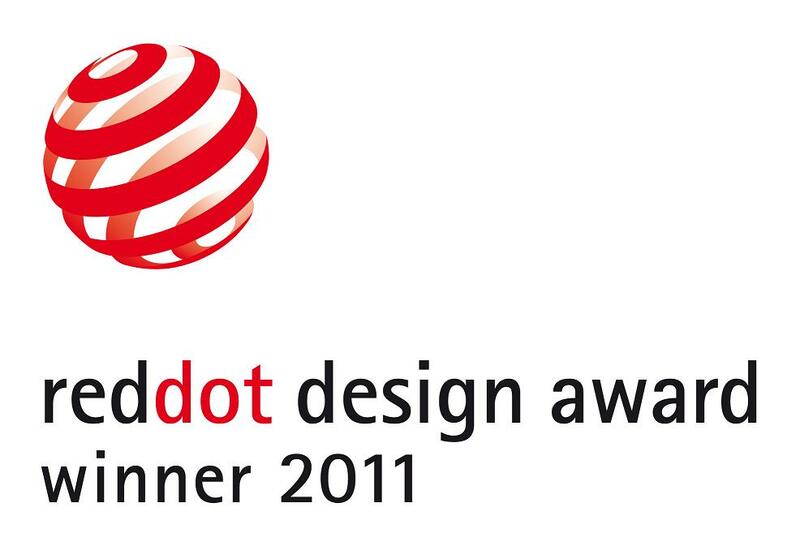 Com mais de 4.400 candidaturas, provenientes de 60 países, o concurso internacional “red dot design award” é o maior e mais prestigiado do mundo em termos de design. Abrange um total de 18 áreas, incluindo relojoaria e joalharia, mobiliário, acessórios para a casa, máquinas, carros, ferramentas, indústria de telecomunicações e consumíveis electrónicos. 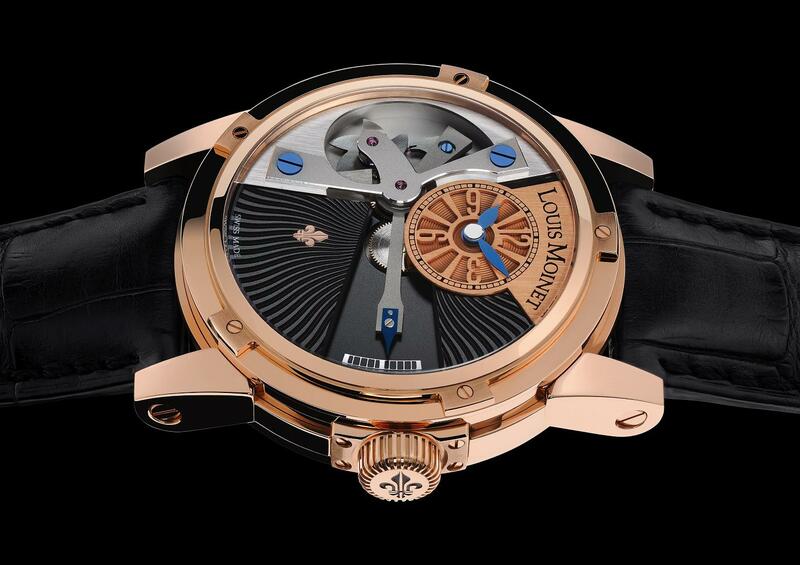 With its JULES VERNE line, Louis Moinet is introducing a new way to use the chronograph, thanks to the invention of an advanced mechanism. This new device to activate the chronograph function (patent pending) consists of a mobile lever set in two positions : armed and disarmed. 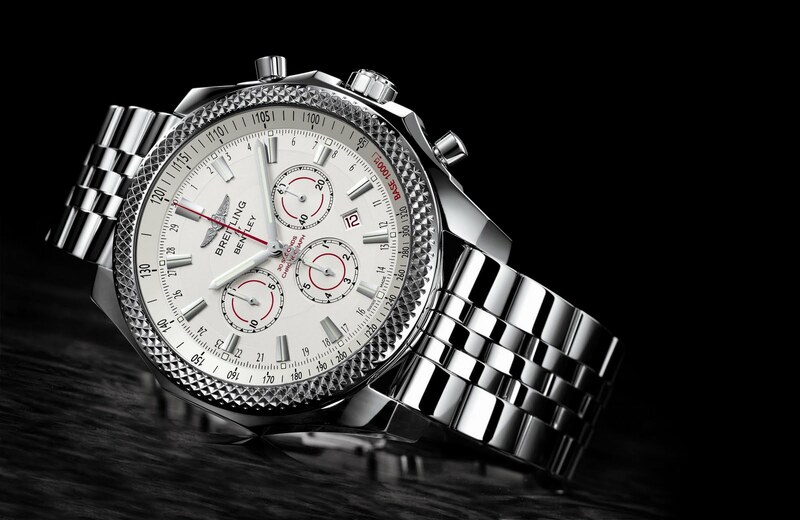 This device offers the advantage of fully securing the handling of the chronograph. 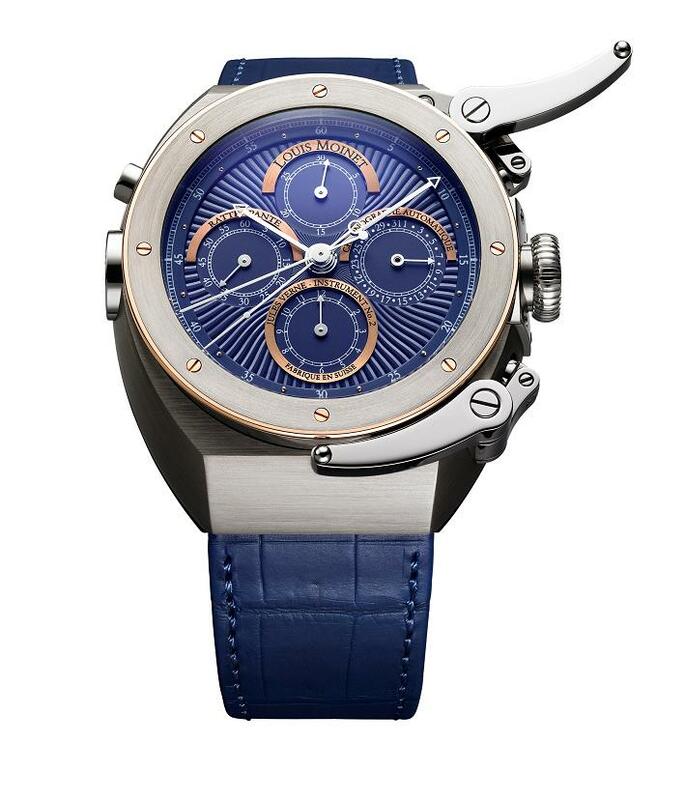 The high-tech watch case has been conceived in the spirit of the fabulous inventions of Jules Verne. Its conception is revolutionary with its two grade 5 titanium shields covering a stainless steel framework, in order to give the right weight and proportion and to perfectly hide the secrets of the watch : its mobile lever technology and its authentic piece of the moon ! The lower part of the bezel and its eight screws are crafted in 18K rose gold 5N. The mobile lever system consists of twelve different elements, combining advanced materials like Delrin, known for its low coefficient of friction and steel hardened by special treatments to provide the necessary resistance. The locking mechanism is secured thanks to an extremely wear-resistant ceramic ball bearing click. The travel of the lever itself is controlled by a hardened steel pin and a notched blade to limit the path of the lever. 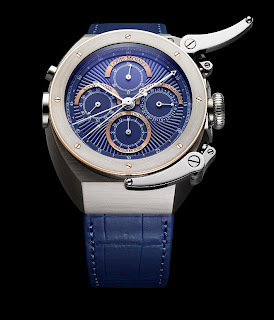 The JULES VERNE watch won the “Most Innovative Design Watch” prize at Asia’s most important watch and jewellery exhibition, “A Journey Through Time”, held in Kuala Lumpur, Malaysia, from December 2nd through 11th 2010. 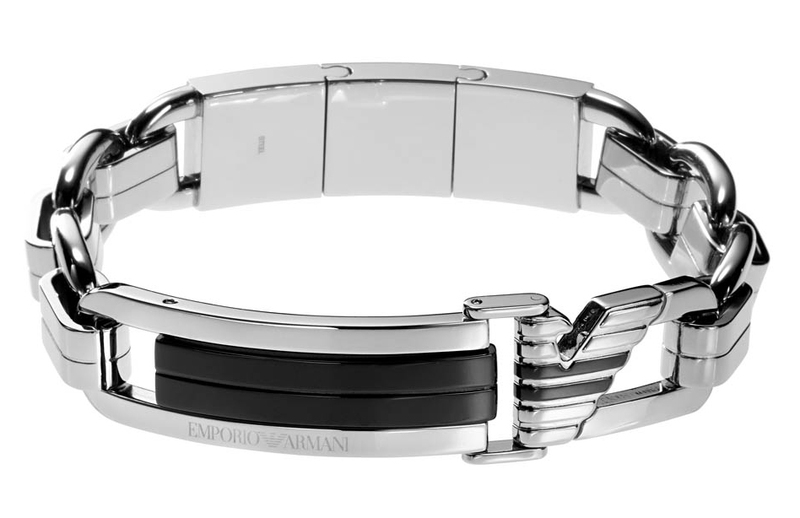 A high-tech watch case incorporating two inventions for which patents are pending : the chronograph mobile lever system & the crown guard system. TEMPOGRAPH original technology is absolutely unique in its kind. 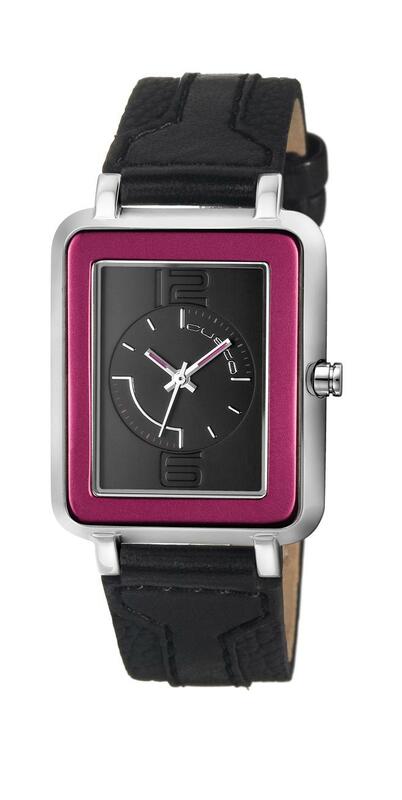 It consists in the first and only 10-second retrograde complication activated by a visible cam mechanism. This invention has been patented (patent pending), since TEMPOGRAPH can be considered as one of the most creative watches on today’s market. 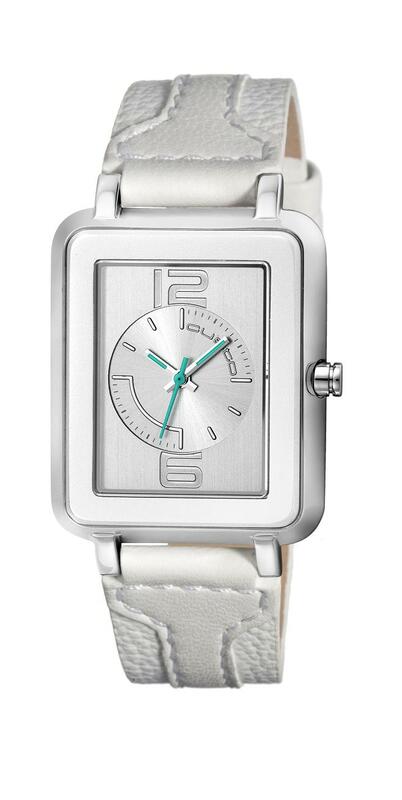 The distinctive feature of TEMPOGRAPH is its retrograde seconds mechanism, which is constantly on the move. The watch is a non-stop visual delight, enlivened by the regular ballet of a hand that marks off the time in ten-second segments alternating with an instant retrograding motion. At 9 o'clock, the cam mechanism is truly spectacular and has been left visible so as to enable the wearer to admire it in action. The cam is composed of six teeth and performs one rotation per minute. It releases a titanium lever adjusted to the 100th of a gram. From the idea through to the finished result, this watch called for three full years of gestation as befits the creation of a legendary watch. The exclusive TEMPOGRAPH movement is a self-winding mechanism with a balance beating at 28,800 vibrations per hour. This complication movement is made up of 125 parts. TEMPOGRAPH is a complex Haute Horlogerie watch. Its retrograde mechanism has been fully revealed and is particularly spectacular. A Fondation de la Haute Horlogerie (FHH) anunciou a adesão de mais uma marca, a Bovet 1822. A casa BOVET foi criada em 1822 por Edouard Bovet e pelos seus três irmãos. Começa a exportar quase de imediato para a China, onde Edouard Bovet se instala. Em 1855, durante a Exposição Universal de Paris, a Bovet é distinguida com uma medalha de Ouro pela realização de dois relógios de bolso, encomenda do Imperador chinês. Em 2001, Pascal Raffy adquire a Casa BOVET. Em 2006, adquire sucessivamente as empresas DIMIER 1738, manufacture de Haute Horlogerie Artisanale, DIMIER 1738, manufacture de Cadrans et de Sertissage bem como o Château de Môtiers. 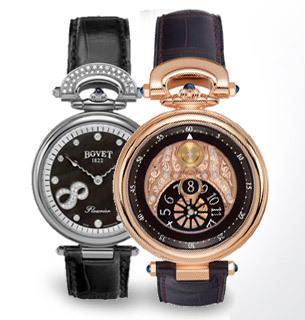 A BOVET continua a produzir uma quantidade muito reduzida de relógios, cerca de 2000 por ano. Mais de um terço são peças únicas, feitas por encomenda. Desde 2010, o conceito AMADEO® equipa todos os modelos da colecção Fleurier. Este tipo de caixa revolucionário permite transformar o relógio em peça de pulso, de mesa, de bolso ou pendente. Ao juntar-se à FHH, a BOVET contribui com a sua história e ética para a missão da Fundação, que consiste em defender activamente os valores próprios a esta indústria de Alta Relojoaria. 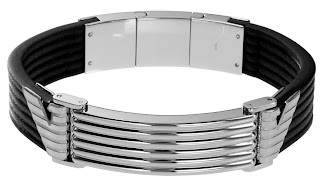 As 28 marcas parceiras da Fondation de la Haute Horlogerie são: A.Lange & Söhne, Antoine Preziuso, Audemars Piguet, Baume & Mercier, Bovet, Cartier, Chanel, Chopard, Corum, Girard-Perregaux, Greubel Forsey, Harry Winston, Hermès, Hublot, IWC, Jaeger-LeCoultre, JeanRichard, Montblanc, Panerai, Parmigiani, Perrelet, Piaget, Richard Mille, Roger Dubuis, Tag Heuer, Vacheron Constantin, Van Cleef & Arpels e Zénith.